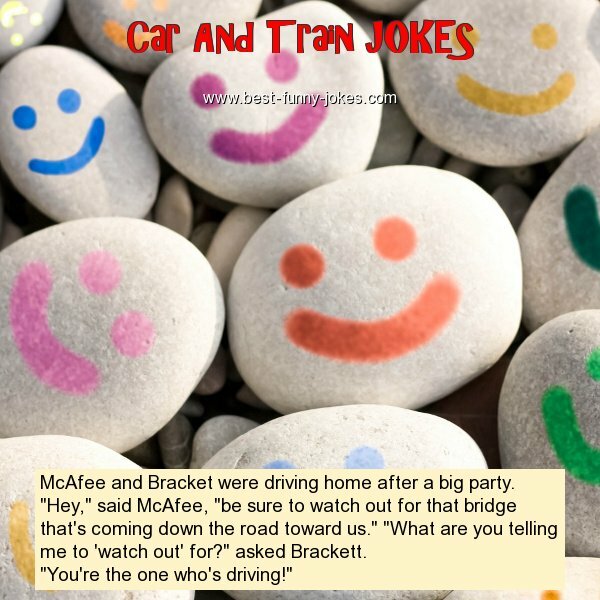 "Hey," said McAfee, "be sure to watch out for that bridge that's coming down the road toward us." "What are you telling me to 'watch out' for?" asked Brackett. "You're the one who's driving!"